Northern Lights over Denali, Mount McKinley. Aurora borealis lights up the winter night sky over Mt McKinley, highest mountain in North America, also called Denali. 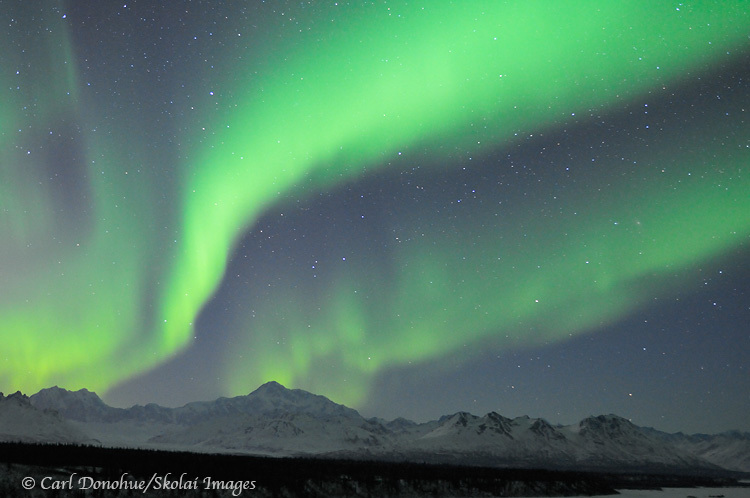 A photo of the northern lights over Denali. Viewpoint from Denali State Park, near Talkeetna, Alaska.